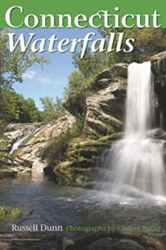 Nonnewaug Falls, or Leever Falls as it is sometimes called, is reached by an easy and pleasant walk through woods and past open fields. 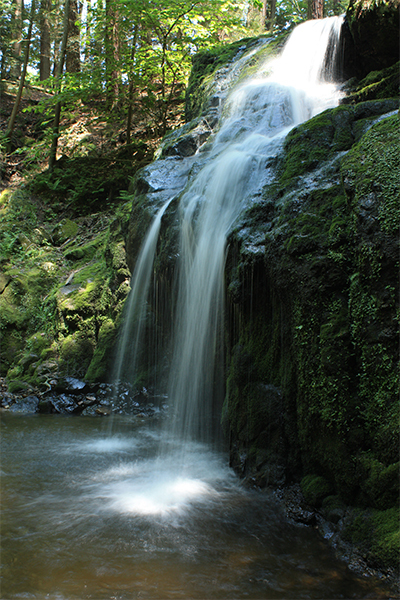 The falls are surrounded by rich moss and other vegetation, which lends a bold green color to the hemlock-shrouded ravine. 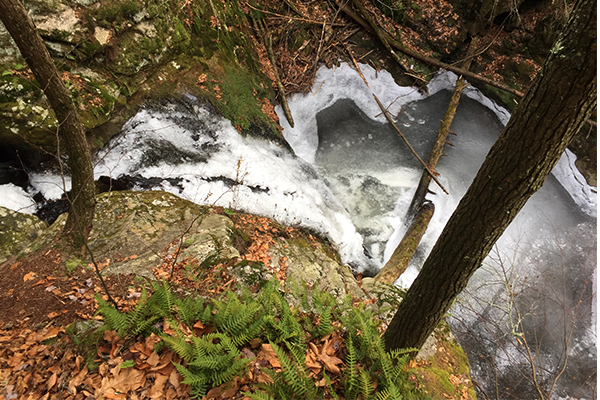 The 18-foot drop begins as a horsetail before gracefully spilling away from the underlying rock face for a final 7-foot plunge, landing in a waist-deep pool. 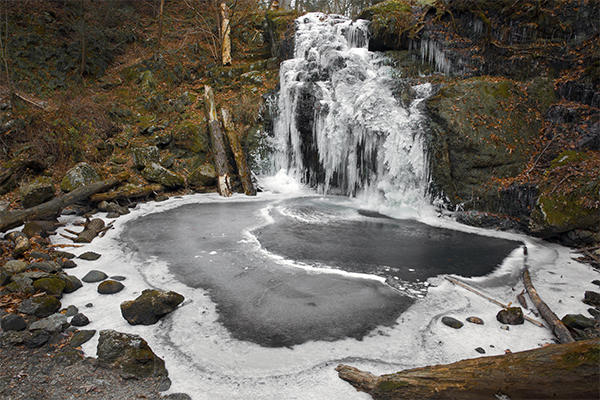 Swimming is prohibited here, which is a bit of a shame. 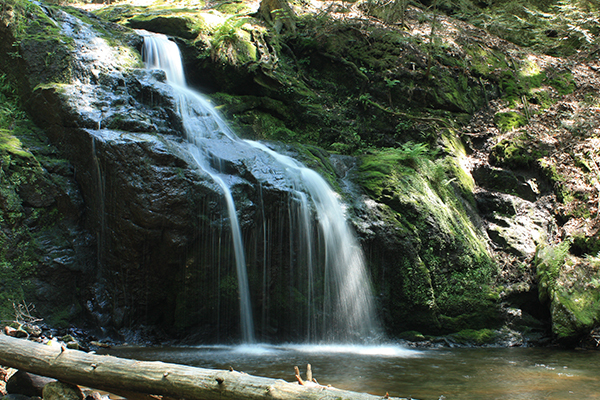 Exploration of the falls is limited to the side of the river you arrived at as the other side is private property. 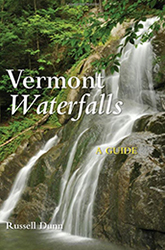 Although water is likely to flow over the falls year round, high water showcases them best. 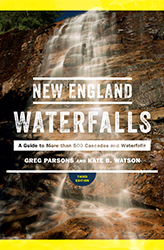 There is a lower falls, a 12-foot horsetail below a 6-foot fan, which is a short distance downstream. 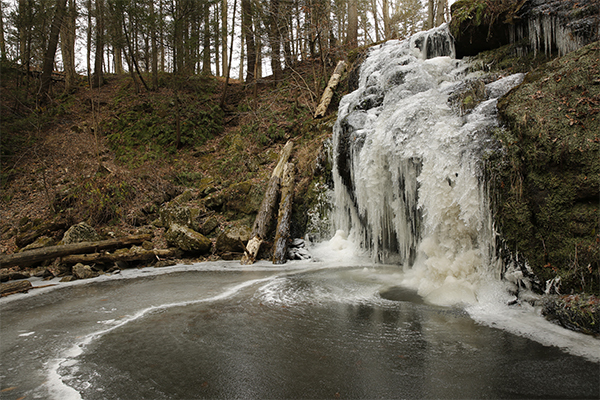 However, views of these lower falls are currently extremely limited. 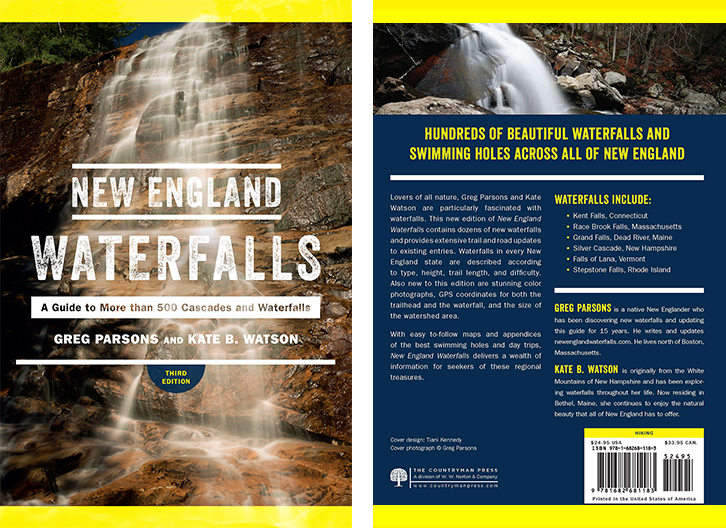 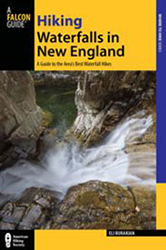 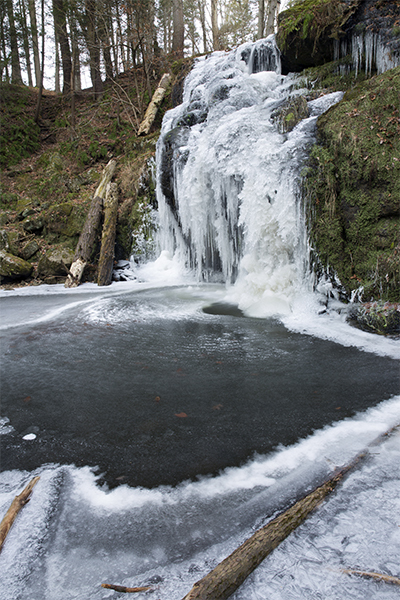 The trail has changed slightly since the 2nd edition of the New England Waterfalls guidebook. 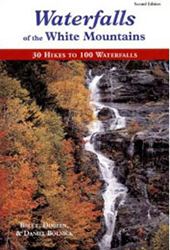 There is a kiosk at the parking area that will show you a trail map. 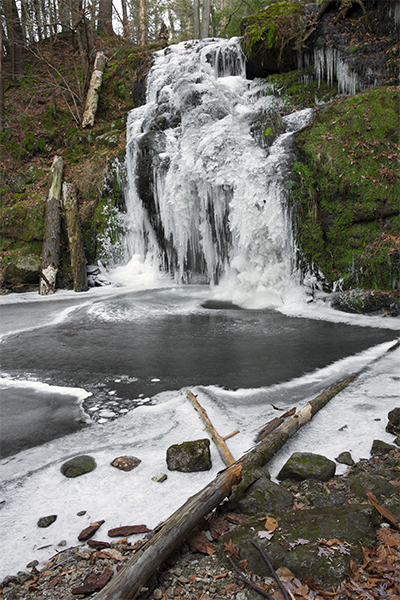 In addition, red posts have been put in place along the route to help guide you to the falls on the proper trails.